The host of ‘The Wendy Williams Show’ cited irreconcilable differences in the court records, which were filed on Wednesday in a New Jersey courthouse. Mary Vidas, an attorney for Blank Rome, confirmed the law firm is representing Williams but declined to comment further. The news, first reported by Page Six on Thursday, arrives after weeks of speculation about the couple’s marriage and a particularly turbulent time for the 54-year-old daytime talk show host. Infidelity rumours have long dogged Hunter, prompting Williams to periodically defend their union on her nationally syndicated show. Williams revealed on ‘The Wendy Williams Show’ last month that she had been living in a sober house. The host, who has talked openly about struggling with cocaine abuse during her days as a brash radio shock jock, did not say whether she was being treated for cocaine addiction. But her emotional on-air announcement intensified the scrutiny around Hunter, an executive producer on the show and Williams’s longtime manager, amid tabloid reports that he had a baby with another woman. Williams addressed the rumours about her marriage in early March when she returned from a two-month hiatus, prompted by a series of public health struggles including her ongoing battle with Graves’ disease, an autoimmune disease that affects the thyroid. Williams and Hunter, who have one child, married in 1999, according to the divorce filing, which also states that the “breakdown of the marriage” occurred six months ago. 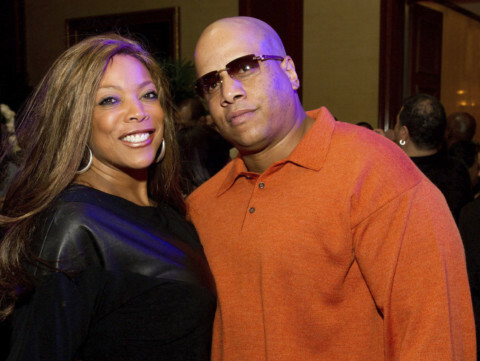 In her 2004 autobiography, ‘Wendy’s Got the Heat,’ Williams opened up about discovering, in 2001, that Hunter was having an affair. Their son was a baby at the time, Williams wrote, and separation was not an option. But Williams was not wearing the diamond as she hosted her show on Thursday, instead sporting a sparkly floral stand-in.